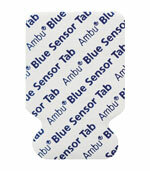 Medium size tab electrode with solid gel for 12-lead ECG, Presented conveniently with 10 pieces to a card. The fish tail tab design reduces electrode lift-offs even if the adaptor kinks. The pressure sensitive adhesive enables the degree of adhesion to be controlled according to the amount of pressure applied. 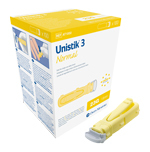 Specifically designed to perform saucerization of deep lesions and shave biopsies. Uritest® 10V test strips are used for indicating suspected or existing health conditions, urine diagnostic strips can give early indication of developing health problems and potential abnormal functions requiring more extensive testing. The analysis of urine specimens from hospital and home based patients is an important part of 'first line' diagnosis. The mid stream urine collection set makes it easy to gain the specimen effectively and conveniently as they are suitable for most category patients. 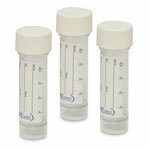 Disposable clear gallipots with graduation marks. The Alere™ hCG Cassette is a one-step rapid diagnostic device for the early detection of human chorionic gonadotropin (hCG), a hormone produced during pregnancy. The test uses a patented, innovative technology to provide highly sensitive and specific results for pregnancy in as little as 3 minutes. Each foil pack contains an individual cassette and pipette, the Alere™ hCG pregnancy test also has an in built procedural control giving you confidence that the test has been performed correctly. With proven accuracy of over 99%, the Alere™ hCG pregnancy test is both simple and easy to use and read for any laboratory member. Please note: The Alere™ hCG Cassette is the re-branded version of Clearview hCG Cassette and that there are no changes to the functionality or procedure of the test, only the name. Pre-set single use safety lancets with Comfort Zone Technology and side firing action to provide extra comfort for both patient and professional. Safe and easy to use for frequent blood glucose testing. Pre-set single use safety lancets with Comfort Zone Technology giving a virtually pain free experience. The design makes it easy and comfortable to grip, giving the user complete confidence and control during the procedure, allowing the user to decide exactly when to activate the device and how much pressure to apply. The Accu-Chek® Safe-T-Pro Plus lancets offer three depth settings for various patient conditions, such as thin skin or calloused fingers, and is also compliant with depth recommendations for neonates. The lancets have a 23 gauge or 0.63mm width needle, which means they are kinder to the patient's skin. Simply select the depth that provides the greatest comfort while at the patient's bedside and easily obtain an adequate blood sample for single dose tests. Engineered to help clinicians provide quality patient care, the Single-Use, multi-depth Accu-Chek® Safe-T-Pro Plus lancet brings comfort and safety to patients and clinicians. The Accu-Chek® Safe-T-Pro Plus lancet is designed to meet OSHA requirements mandating "safety-engineered" needle devices. 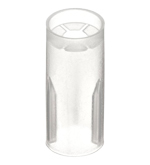 The lancet automatically retracts after use to help prevent accidental fingersticks and enhance infection control. Sharp point guarantees smooth puncture for the most pain-sensitive. 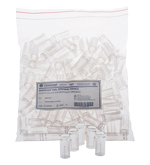 Mixed red and white Neurotips™ examination pins can be used for peripheral vision testing. Neuropen® is supplied with one monofilament and Neurotip™, the first dual purpose, pocket size device designed to provide a safe and reliable test. CE Marked patella hammers for testing patient reflexes. Buck hammer with pin and brush for testing patient reflexes and neurological sensitivity. In physical therapy and occupational therapy, a goniometer is an instrument which measures range of motion joint angles of the body. Designed to hook onto a fridge or freezer shelf, the Zeal round fridge/freezer thermometer gives a true reading of temperature and can also be used as a room thermometer. This digital, max/min and alarm fridge or freezer thermometer features an easy to read 16mm LCD display. The thermometer displays temperature over the range of -49.9 °C to +69.9 °C with a 0.1 °C or 0.1 °F resolution. The thermometer is housed in an ABS case and incorporates two sensors, a remote for measuring the appliance temperature and an internal sensor for measuring the air room temperature. 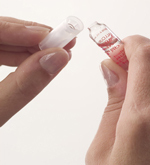 Ampsnaps are a disposable, single-use device used to open glass vials/ampoules safely without risk of injury. Ampsnap's are easy and simple to use and reduces risk of sharps injury. OptiLube Active is a Sterile Lubricant Gel containing local anaesthetic (Lidocaine) and antiseptics, with each syringe presented in a sterile package. OptiLube Active is used for the insertion of catheters and instruments into the body cavity. The gel provides optimum lubrication, whilst the local anaesthetic prevents pain, and the antiseptic properties reduce the risk of infection. Universal lubricant recommended for use in gynaecological, digital, instrument examinations and general lubrication procedures. 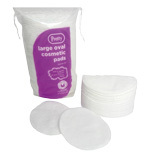 Large oval shaped cosmetic pads suitable are suitable for spas, skin/beauty clinics and general cleansing as they are versatile. 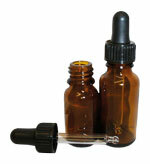 They can be used for applying lotions and creams, cleanser and are perfect for make-up application and removal. The compact surface is also ideal for applying liquids such as nail polish remover and toner etc. 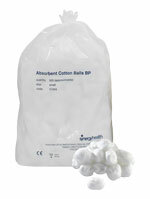 Cosmetic cotton buds are specifically designed for cosmetic application/removal and adjustments. ORANGE STICKS: 15cm / 6"
Flat wooden spatula with smooth safely rounded ends.